Cole Custer and Stewart-Haas Racing welcome Jacob Companies to the No. 00 Ford Mustang beginning in Daytona. Custer will appear at the Ford Performance display in the midway at Daytona International Speedway for a fan autograph session on Saturday, February 16th at 12:30 p.m.
Click here to listen to the No. 00 crew chief announcement. Click here for Custer’s stats at Daytona. 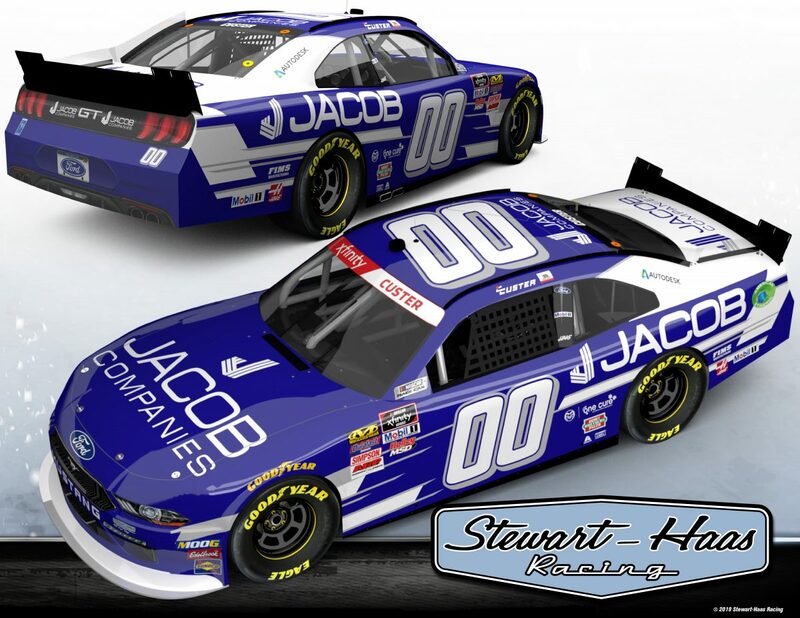 Jacob Companies joins Custer in the NASCAR Xfinity Series after a successful outing in the 2018 Monster Energy NASCAR Cup Series race at Richmond Raceway. Jacob Companies, Inc. (Jacob), is a multifaceted construction firm with a focus on construction, development, design and technology services. Jacob provides clients with a wide range of services in the Design Build and Construction Management sectors of the construction industry. In conjunction with these services, Jacob self performs structural concrete, architectural and structural precast erection.